We have a unique selection of handmade, solid wood, primitive furniture, quilt racks, end tables, hutches,and everything Country! We have a wide variety of sheep, crows, hearts and stars. Browse our shop for shutters, ladders, prim lighted houses, candle holders, benches and much much more! 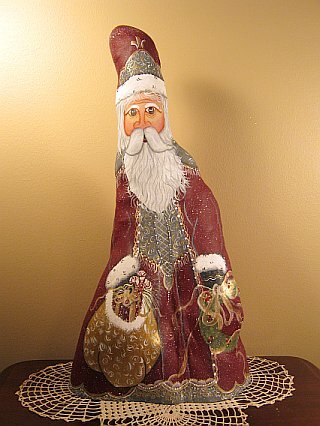 Everything is handmade and handpainted in the Ozarks. We can also customize any of our items to your measurements or specifications, and we take custom Orders! We'd love to hear from you, Stop by and see us! 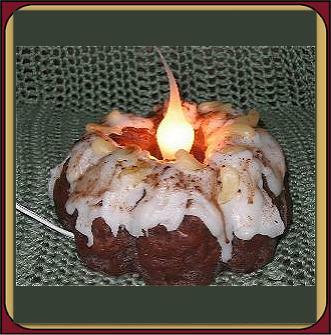 The finest line of Candles on todays market! We take great pride in our highly scented product! A complete Bath & Body Line along with Handmade Soaps,A Great Bakery Candle Line, Prim Decor, Wax Critters, Tart Burners and much, much more! 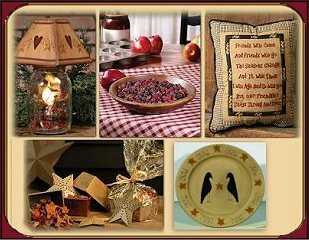 Specializing in country, primitive, colonial and rustic products, we are the perfect destination for ideas on decorating your home or as a gift giving source. 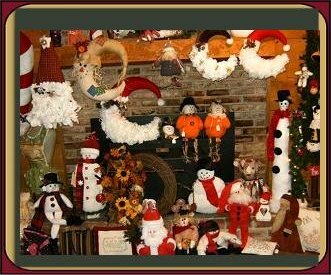 We offer a variety of products including reproduction treenware, candles, pillows, signs, baskets, stars, wreaths, garlands, decorative plates, bowls, pillows, lights, shelves, so much more! 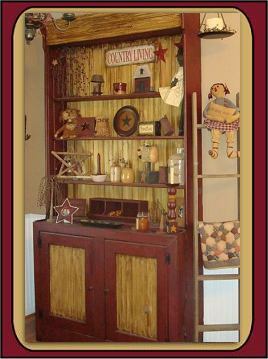 Home decor and country handcrafted primitive furniture and decorative country gifts. Country potato bins, bread boxes, country trash cans, primitive furniture, seasonal decor and more! things from now till Christmas. Then, look out spring. Stop by "The Log Cabin," and check us out. 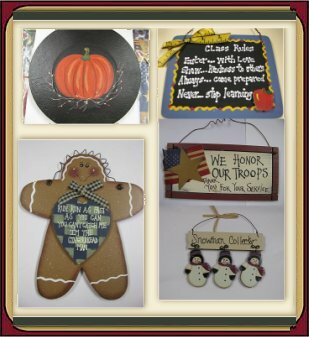 Nannie and B's Crafts has a large variety of Teacher Gifts and Christmas Ornaments. Check out our Wooden Plates, Patriotic, Fall and Christmas Decor. We have over 1,500 items whether your look is Country, Primitive or Americana. Looking for a large variety of Primitive Country Decor? Stop in and visit Crow Country Primitives! You will find a huge selection of in our store -- Stacking Box Sets, Tart Warmers, Quilted Wall Hangings, Prim Country Linens, Keeper of the Light Jar Candles, Decorative Shelves & Cabinets, Wooden Bowls & Plates and much, much more. 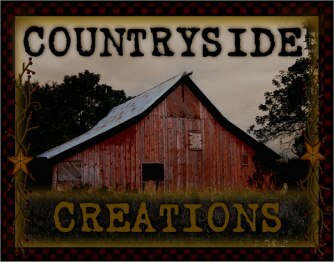 Primitive Country Decor and more!